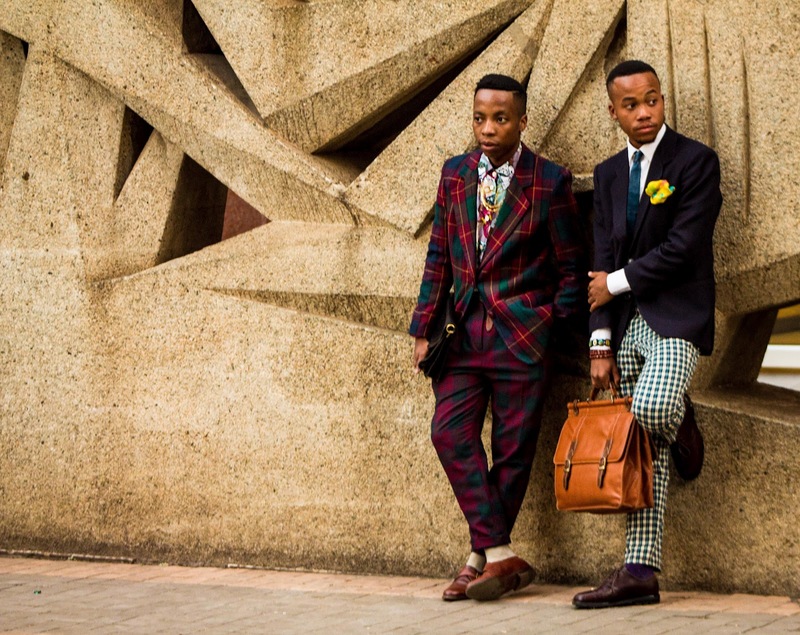 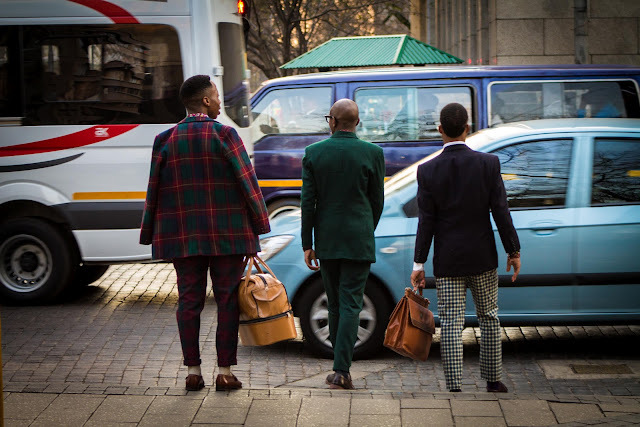 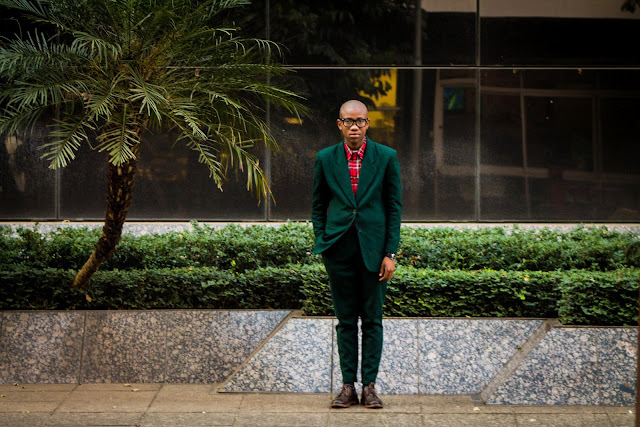 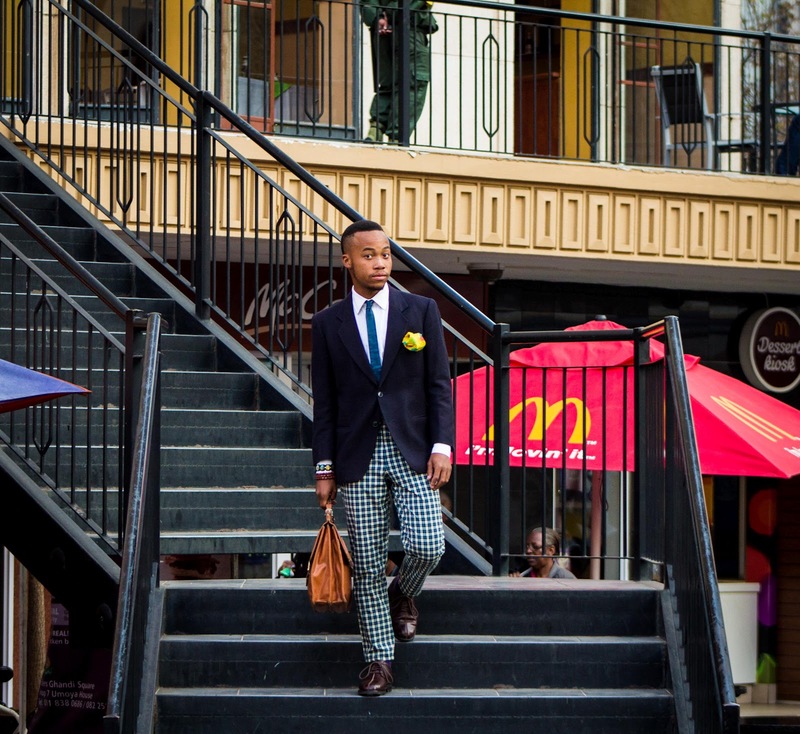 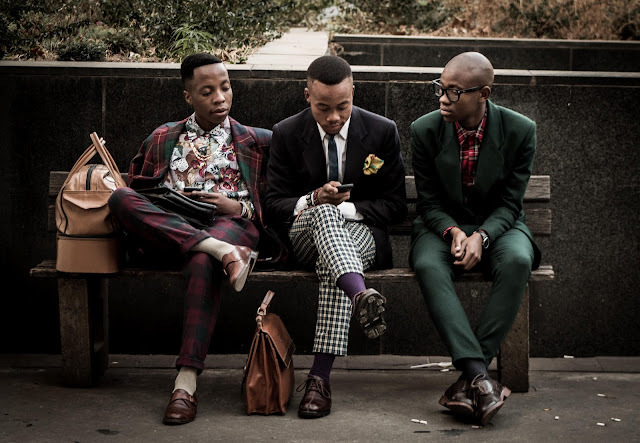 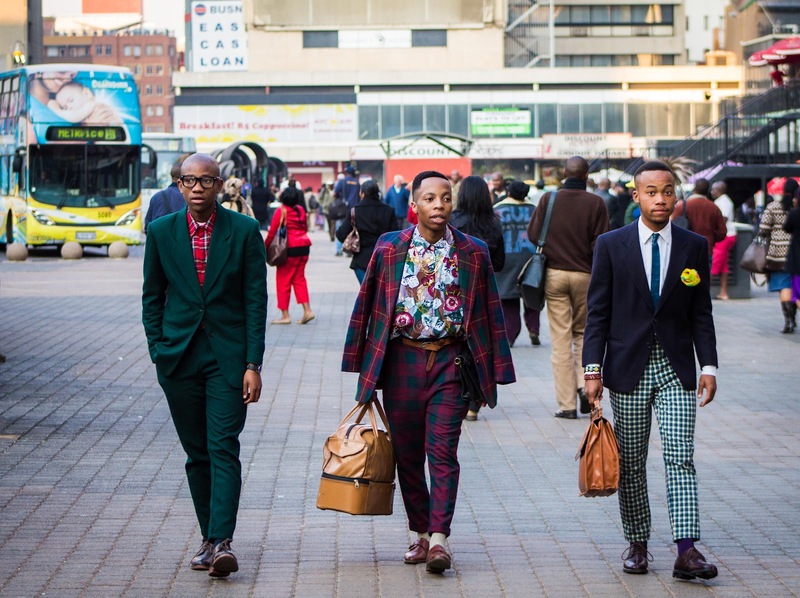 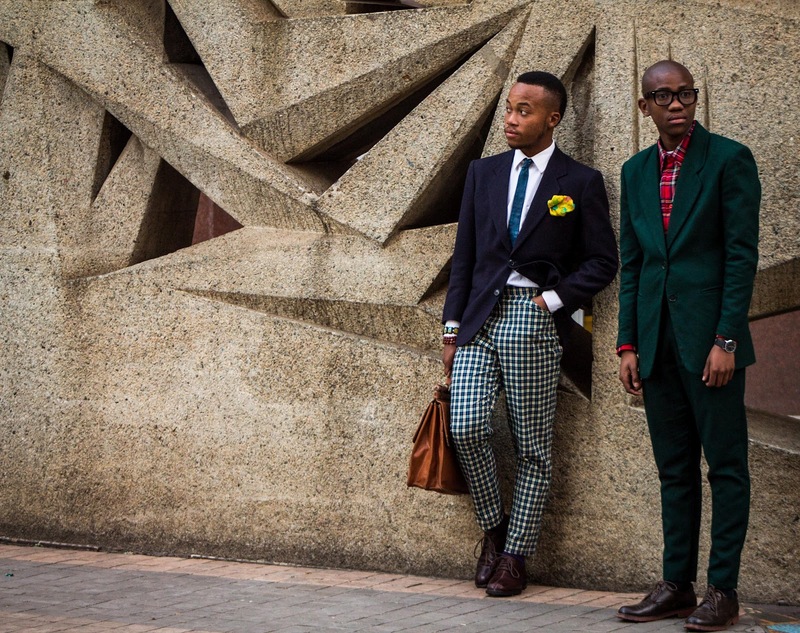 Street Sartorialism in the streets of Johannesburg. 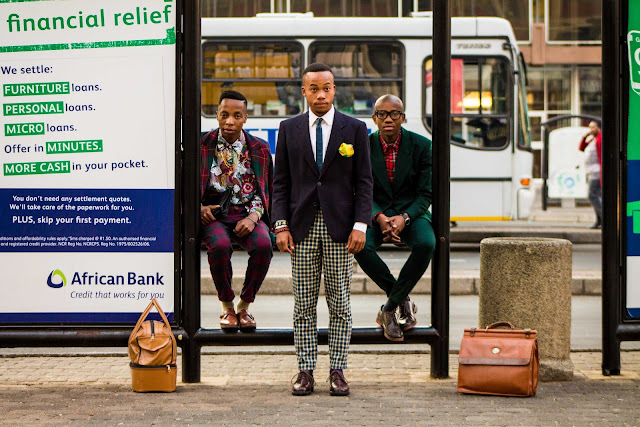 Very funny day this was indeed, we challenged ourselves to break the rules of formal wear, are there any rules though? 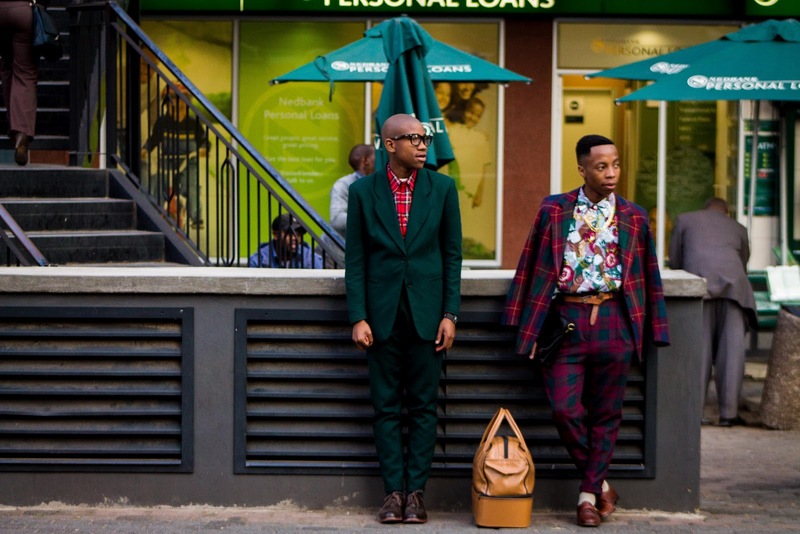 We added a few details, gold necklace there, green two piece with a scotch/check shirt etc. 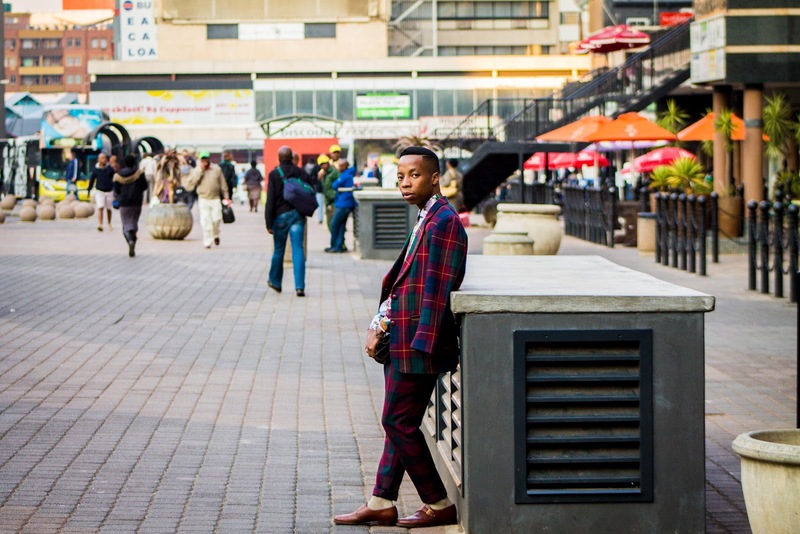 We shot in a very public area and we were well received by the environment. Memories to cherish for a lifetime.